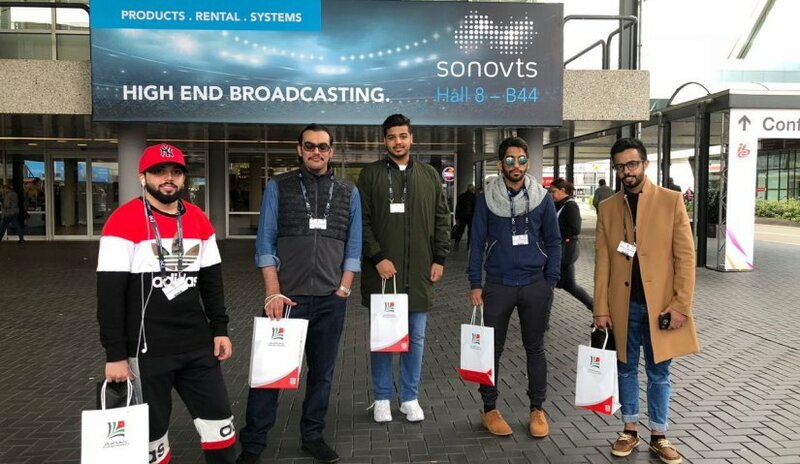 In an elaborate leap aimed at linking theoretical frameworks with practical applications, Al Falah University, represented by the College of Mass Communication sent a delegation to participate in the International Media and Communication Technologies Exhibition (IBC) in the Netherlands. The President of the University, Prof. Abdelhafid Belarbi, stressed that this participation comes in line with the directives of the wise leadership in the development of the educational process to achieve academic goals. Dr. Hassan Mustafa, Acting Dean of the College of Mass Communication, explained the University's policy of relating theory to practical application through such activities which will give the students sufficient knowledge and abreast of technological developments. As stated by Dr. Robin Kabha, Assistant Professor who supervised the student delegation, that the main goal has been achieved and that the students gained appropriate learning from the experience.